It was actually my second time to try Famous Belgian Waffles at Robinsons Galleria, but I don’t remember the first waffle sandwich I bought from them. 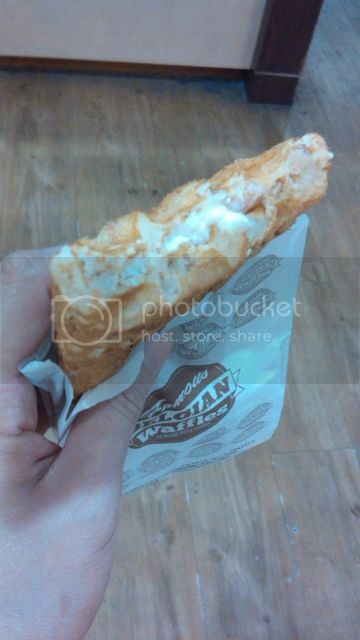 Last Sunday before heading to the supermarket to do my weekly grocery shopping, I went food stall hopping to find something to eat and ended up buying Ham and Cream Cheese Waffle from them. What I really like about Famous Belgian Waffles is that their waffle sandwiches are freshly baked. They are also slightly sweet and crispy and smell really nice. After I took a bite of my warm and soft Belgian waffle, I also realized that the ham and cream cheese combination was quite good. I’m really looking forward to enjoying more waffles from Famous Belgian Waffles. 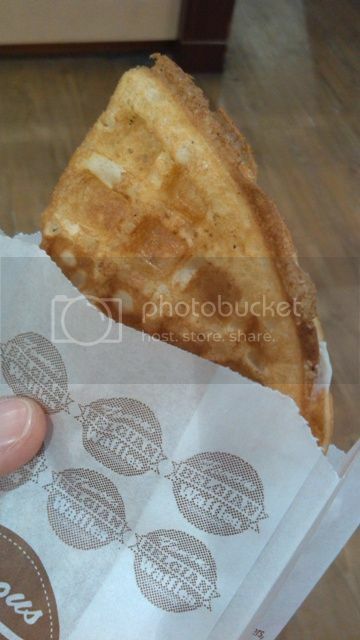 This entry was posted in Famous Belgian Waffles, Robinsons Galleria. Bookmark the permalink.